the Aldo Leopold Foundation is a nonprofit conservation based at the Aldo leopold Legacy Center in Baraboo, Wisconsin. The foundation's mission is to inspire an ethical relationship between people and land through the legacy of Aldo Leopold. Leopold regarded a land ethic as a product of social evolution. "Nothing so important as an ethic is ever 'written'," he explained. "It evolves 'in the mind of a thinking community'." The Conservation Federation of Missouri is not a branch of state government or an entity of a public agency. CFM is a private organization made up of thousands of Missourians who work together to better our natural resources, and represents Missouri’s citizen conservationists. Actively involved in state and national issues that relate to conservation, the Federation has long been a prominent and effective voice before the Missouri general assembly, the Missouri Department of Conservation and the Missouri Department of Natural Resources. Missourians live in a state with abundant natural resources, and those of us who cherish the outdoors must rise to the challenge to conserve natural Missouri. The Missouri Conservation Heritage Foundation, a nonprofit, charitable organization founded in 1997, advances the conservation and appreciation of forest, fish and wildlife resources by applying financial resources to the priorities of the Missouri Department of Conservation. We work in collaboration with donors and other partners to fund both natural resource conservation and conservation-related outdoor recreation. If you are interested in joining us and building a conservation legacy, please visit our websitewww.mochf.org or call 800-227-1488. 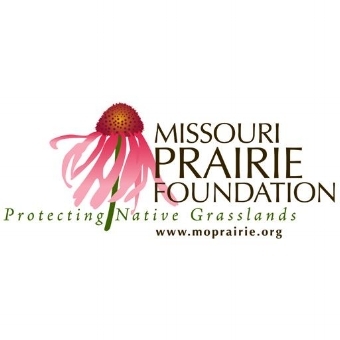 The Missouri Prairie Foundation is a private, nonprofit conservation organization that protects and restores prairie and other native grassland communities through acquisition, management, education, and research. The Missouri Prairie Foundation also promotes the use of native plants through its Grow Native! program. Fifty years old in 2016, the Missouri Prairie Foundation owns and manages 20 properties totaling more than 3,200 acres, advocates for grassland wildlife-friendly agriculture and energy policies, has published the Missouri Prairie Journal since 1979, and is supported by members and other donors. The vision of the Missouri Prairie Foundation is to be a model of prairie conservation and to awaken and engage the passion of others to protect and restore native grassland communities for the benefit and enjoyment of present and future generations. Visit moprairie.org or call 888-843-6739 for more information. The Nature Conservancy is the leading conservation organization working around the world to protect ecologically important lands and waters for nature and people; Our mission is to protect the lands and waters on which all life depends. Since its establishment in 1951, TNC has protected more than 119 million acres of land, thousands of miles of rivers worldwide, and operates more than 100 marine conservation projects globally. We work closely with the private sector and have partners and offices worldwide, including throughout Missouri, in St. Louis, Springfield, Hatfield, and Van Buren. To learn more about The Nature Conservancy in Missouri, visit us online at Nature.org/Missouri.